M4V is known as a common video extension which is similar with MP4 format. Generally, a .m4v video can be directly renamed into .mp4 due to the similarity. Apple first introduced this file extension to define a protected video format with DRM. Though the M4V videos can be simply changed into MP4 format, some audio tracks in the M4V container may not be recognized by some video players. So, sometimes we need to convert M4V to AVI format which is more compatible with most video players. As we have mentioned above, all the videos downloaded from iTunes Store are DRM protected. So, it is impossible for you to copy and transfer those iTunes DRM M4V videos to Non-Apple devices for enjoying. If you have iPhone, iPad or iPod Touch, you can easily sync your purchased or rented movies and TV shows to these devices for playing. But if you have Android or Windows devices instead, DRM M4V videos are not allowed to be played on them. This may cause many inconveniences if we want to take the movies with us outside. To resolve this problem, we have two chioces: to replace all the portable devices with Apple devices or to remove DRM from iTunes M4V videos for personal usage. NoteBurner M4V Converter Plus for Mac is recommended as the best DRM removal tool on Mac which aims to help us to get rid of DRM and unlock & covnert iTunes M4V videos into DRM free video formats such as MP4, MOV, MPEG and FLV, ect. If you are running Windows PC, you can also download NoteBurner M4V Converter Plus for Windows. 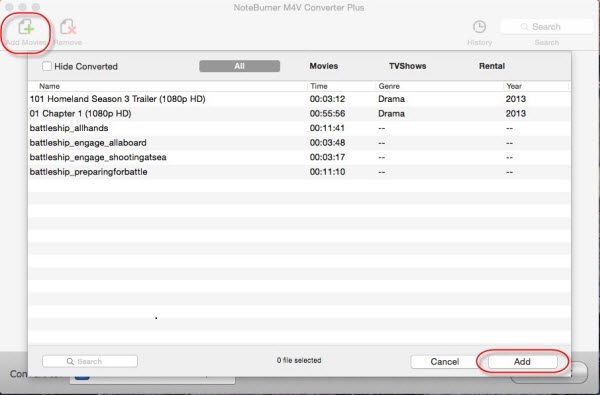 NoteBurner iTunes DRM Video Converter on Mac is able to crack the DRM protection from both purchased and rented video files from iTunes and convert the them to AVI. 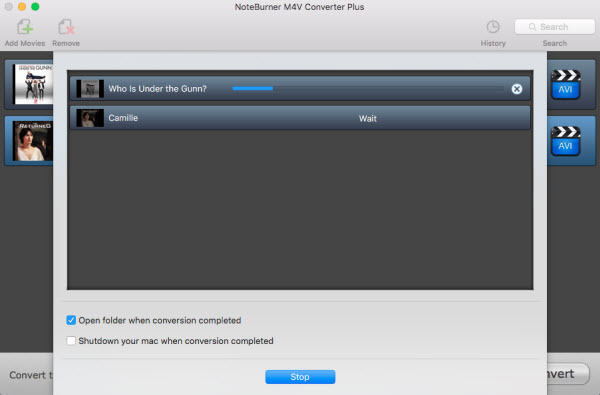 Launch NoteBurner M4V to AVI Converter and add iTunes DRM movies by clicking Add button. Or import the M4V files by locating the file path and directly drag the .m4v files to the main interface of the program. 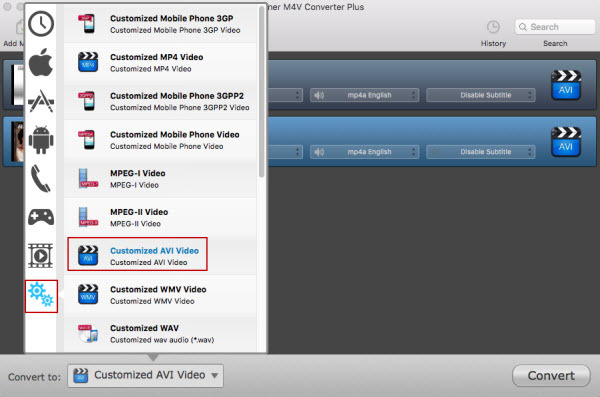 To convert DRM M4V to AVI on Mac, you need choose Customized AVI Video option from the output profile list. Tips: You can also adjust the video and audio parameters according to your preference before converting DRM M4V to AVI. After all the profile settings have been done, the only thing you need to do is to click the convert button and then enter the converting interface. Before converting, you can set the output path where you prefer to put the converted AVI files by clicking the menu bar "iTunes > preferences". When the conversion finished, the converted AVI files can be played on most video players you have. What's next? 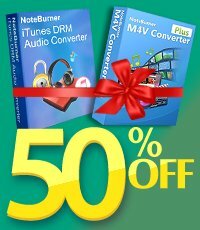 Download NoteBurner iTunes DRM M4V to AVI Converter now! How to Convert M4V to MP3 on Mac OS X EI Capitan?